SYNOPSIS: A stellar cast of actors help keep things interesting in this offbeat black comedy based on McGuane's book. Peter Fonda and Warren Oates square off as competing boat owners who charter fishing trips. Oates claims the area for his own and threatens Fonda with death if he tries to steal his business. 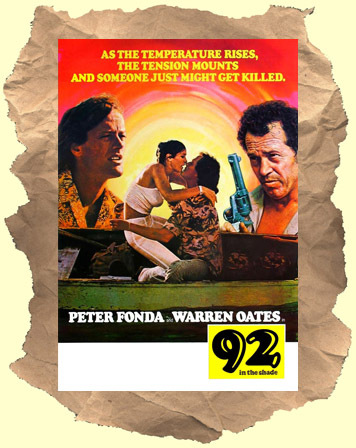 Shot in Key West, Florida this film is an offbeat gem with Oates in top form and Joe Spinell doing some major scene-stealing. PLEASE NOTE: This special version contains both endings of the film. The original release and the re-release versions. They couldn't be more different!! If you've only seen the old video release you have to see the alternate ending - it changes everything! BONUS: Contains the rare re-release alternate ending - Never before available!